This is one of the most basic questions we ask potential web design clients. Surprisingly, it can be one of the toughest to answer. 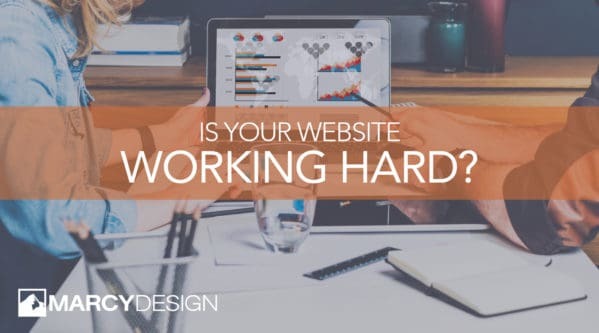 A lot of business owners and executives know what they want their websites to look like, and the majority will have some definite opinions on what kinds of real-world business results they would like to see generated once a new design goes live. However, when it comes to the question of whether their sites are actually working for them – or working as well as they could be – it can be difficult to come to a firm conclusion. I suspect part of the issue lies in the fact that some business people don’t really know what a website can or should do beyond looking great and giving out some basic information about a company. So, in order to help you to figure out whether you’re getting the mileage you should be from your current web presence, or to build an even stronger website in the future, I invite you to work with a creative partner with the experience and perspective needed to put your business goals first. If you’re interested in working with the very best, contact the expert marketing minds at Marcy Design in Columbus, Ohio today. In one short consultation we’ll show you exactly how we can help!